One of the most useful skills I’ve acquired in the Ovate grade, is that of making my own journals. I never considered myself a particularly consistent journaler, but now looking over my work not only during this grade, but in the Bardic grade, and even back to college and high school, I’ve written a fair amount. Like most teenagers I started writing/journaling about every day occurrences. My English teacher senior year made journaling part of his curriculum. We had to do one entry a week, and if there was anything that we wanted to write about that was too private, he told us to tape the pages together. It was not only an excellent exercisein consistancy, but in trust as well. I’m happy to say he never broke it. I found though, that I’m not a particularly consistent journaler when examined over the course of years. However, I am very consistent for very intense periods of time, such as when I was on a dig in Wales, or interning at a museum in Greece. Like most spiritual practices today, OBOD greatly encourages keeping a record of your journey. 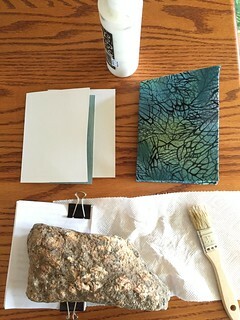 In an early lesson, there was a gentle suggestion that if you have trouble finding the perfect journal for your Ovate work, you might consider making your own. And of course, the opportunity to derail my studies by learning a new craft was irresistible! This brings us to yesterday. I had finally filled my second little book of ovate fieldnotes, so it was time to make another. My technique is a mishmash of various instructions gleaned from the Internet (I actually did a practical class in this sort of bookbinding for ECG one year). It works pretty well for me, however, and is exponentially less expensive than mass-produced journals. 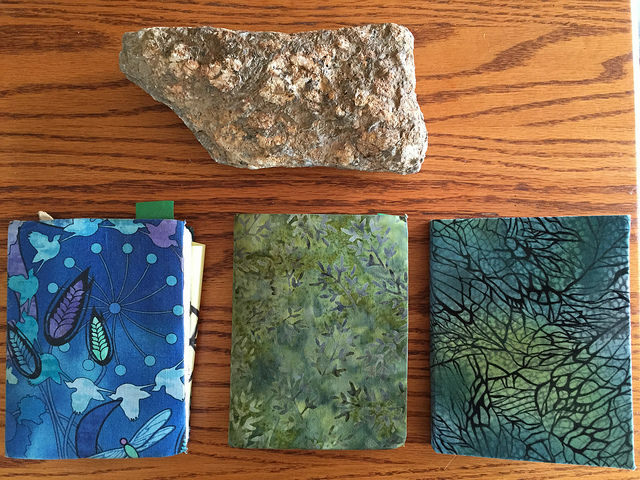 Three iterations of field notes. I have a question for you: Are we allowed to share any of the journaling notes that we make through our process in the OBOD training public? I know that the courses themselves are private, but I’m curious about our insights as such. I’ve been a part of OBOD since 2008, but I was unable to complete my work through the bardic grade at that time (due to various major life changes at the time). I’m gearing up to re-start my work through the grade (as well as through ADf’s Dedicant path) and I’m just curious to know how much we are allowed to share from our insights, as I plan on posting copies of my ADF insights on my own blog. Personally, I feel free to share anything that comes from my own insights during the OBOD work. I don’t share meditations, rituals, prayers, or other OBOD-specific content, but I do sometimes share the name of a ritual or how it affected me without going into the mechanics of it, if that makes sense? In general, the internet can really encourage over-sharing, so I would say if you aren’t sure about posting something, then don’t. Just sit with it for a while and see what shakes out. And when in doubt, check in with your tutor, who will doubtless have some good insights as well.